The Art Of Buying Art and the Modern Art Market. - Art Buying in China, India & the World. The Modern Art Market. - Art Buying in China, India & the World. Today's market looks awfully inflated. Tread carefully. By Thane Peterson - December 26th 2005. In early December, Swiss publishing magnate Michael Ringier spent some time at Art Basel Miami Beach, one of the top contemporary art shows. Ringier is a big-time collector, but he didn't buy much. "The opening of the doors was like the beginning of the New York Marathon," he says. "People crowded to get inside first and then fought over pieces. When you saw something you liked, you didn't have to ask. It was sold." The frenzy in Miami is one of many signs of how red-hot the art market is now. Artprice.com, a French company that tracks world auction results, figures overall prices in New York and London topped their mid-1990 peak for the first time this year -- by 33% and 19%, respectively. Meanwhile, Chinese art often soared to four or five times pre-auction estimates at recent Sotheby's and Christie's Hong Kong sales. Indian and Russian works are seeing similar gains. What's going on? Art has become a trendy alternative investment, and veteran collectors worry the market is getting badly overpriced. "Collectors are being overwhelmed by the speculators," frets Vail (Colo.) collector Kent Logan. Do keep in mind that art is not an efficient investment vehicle. It's hard to sell fast if you need to raise cash and the world art market is small -- only $24 billion in turnover in 2004, Kusin estimates -- so speculation distorts prices quickly. Also, studies showing that art appreciates at about the same rate as stocks don't take into account art's high transaction costs, including markups of as much as 50% by private dealers, sales or value-added tax (8.375% in New York, 17.5% in London), and auction house buyer and seller fees that start at about 27% combined. On top of that, you face income or capital-gains taxes if you sell at a profit, as you would on stocks and bonds. Do set spending limits -- and stick to them. Savvy collectors pay up only for rarities, or to fill out their collection, as when Los Angeles philanthropist Eli Broad anted up $23.8 million for a 1962 steel sculpture by David Smith at Sotheby's (BID )on Nov. 11, the highest price ever for a contemporary work. Broad waited 11 years for the piece to come on the market after being outbid on a similar Smith sculpture. Do your own due diligence so you'll be less vulnerable to fad-buying. A serious collector like Boston money manager Scott Black can talk endlessly about the history and technique of the Impressionist-era paintings he collects because he spends much of his free time studying books and catalogs and going to shows. Check the bona fides of art advisers carefully; inexperienced ones come out of the woodwork in boom markets. Don't get involved in buying collectives that plan to flip art at a profit. Most of the art investment funds launched with such fanfare a few years ago have fizzled, but many small investment groups have formed. Among other weaknesses of the approach, top galleries are clamping down on speculators who flip purchases at auction for big profits. "We're very careful," says London gallery owner Victoria Miro. "We give preference to museums, or to people we know are building serious collections they plan to leave to museums." Don't get caught up in the emerging-market art frenzy. Chinese, Russian, and Indian art is soaring on the theory that prices will rise as these nations' economies expand. These markets, however, are getting very pricey, very fast. At Christie's auctions this fall, a piece by Yue Minjun, a 43-year-old Chinese artist, rose to $641,680, more than 10 times what it would have gone for five years ago, while one by Indian Tyeb Mehta, 80, fetched $1.6 million, five times the previous going price for a Mehta painting. Do consider collecting photos rather than paintings and sculptures. Prints by photographers such as Edward Weston are setting record prices, and experts believe works by other seminal photographers will appreciate, too. Joshua Holdeman, a senior vice-president with Christie's in New York, considers "any and all" work of the late Garry Winogrand, which starts at about $3,000, underpriced. Others cite the Tennessee-based color photography pioneer William Eggleston ($8,000 and up), Hungary's André Kertész ($3,000 and up), and Britain's Martin Parr ($1,500 and up). Do consider buying what others won't. Untrendy but museum-quality Old Master paintings and drawings can often be had for a relative song. New York dealer Robert Simon cites a beautiful oil portrait of an angel's head by the Italian artist Giulio Cesare Procaccini (1574-1625) on sale at his gallery for $30,000. In general, remember that speculators pay up for pretty paintings that fit easily on a living room wall. Large or controversial works by the same artists sell for far less, as do big, edgy multimedia installations -- in which, say, a video plays within an imaginary décor. "You can get a whole [roomful of multimedia art] for $30,000," says Ingvild Goetz from Munich, who has been buying installations for her museum, the Goetz Collection (www.sammlung-goetz.de). And, of course, it may be cheaper to add on to your home, if need be, than to shell out the wild premiums some collectors are paying for art these days. Upstarts with thick wallets are jostling the old guard in the contemporary market. By Thane Peterson - September 4th 2006. New York real estate baron Aby Rosen slips out of a late afternoon meeting for a quick tour of the art collection on display at Lever House on Park Avenue, one of his 32 properties. In the conference room, a couple of Andy Warhol's (he has more than 80) and a funky Tom Friedman sculpture made of old cartons. Out in the lobby, an oddly mundane Jeff Koons installation of 30 new basketballs in a glass case. Down the hall, some big oils painted collaboratively by Warhol and Jean-Michel Basquiat. Also on display: works by sculptors Gary Hume and Louise Bourgeois and a Christopher Wool painting. It's a dream collection, a mixture of new and not-so-new artists whose prices have increased three, five, and even seven times in recent years. Yet Rosen is blasé about how much all this art is worth. "Maybe 30 or 40 million bucks," he says. "I never think about that. It's just here, part of the environment, part of what we live with every day." Every age of wealth has its mega-collectors who help set taste and stock museums with the art of the era. And in this era it's increasingly upstarts such as the German-born Rosen, 46, who moved to New York 20 years ago after having run the family real estate company in Frankfurt since his teens. In the last few years, you can track the new names creeping into ARTnews magazine's annual list of the world's top 200 collectors: U.S. hedge fund, real estate, and media barons, Korean retailers, German advertising tycoons, and French money managers are mixing with the old guard, such as Los Angeles philanthropist Eli Broad. Many among the new generation share Rosen's insouciance about spending enormous sums for works they really want. "I call them all 'hedge fund guys,' but what they really are is people who've made a ton of money very fast," says Miami hotelier and veteran collector Donald Rubell. Many of them may also be riding for a fall. The newcomers don't always play by the old rules and, as in their day jobs, they take huge risks. Their cash has allowed them to muscle to the top of many dealer lists and pay lofty top auction prices when they can't get enough from galleries. Yet many are chasing the same trendy artists and driving up prices unsustainably fast. Want a coveted work by New York photographer Richard Prince or the hot Los Angeles multimedia artist Mike Kelley? They're up fivefold or more in recent years: Prince's works now top $1 million, and hedge fund manager David Ganek is one of two buyers who paid $688,000 for a copy of a 1991 Kelley photo series at the New York auctions in May. Paintings by octogenarian artist Tyeb Mehta have had a similar runup in just three years, to as much as $1.6 million, partly because New York hedge fund manager Rajiv Chaudhri is buying works by Indian artists whom he believes have "been touched by magic." And don't even ask about Beijing-based Zhang Xiaogang. Contemporary Chinese art is the trend du jour, so prices for his work have climbed maybe twentyfold in 18 months, topping out at nearly $1 million in March. The fierce bidding has some longtime collectors buying less or focusing on younger artists. Hollywood producer Dean Valentine, a long-established collector, derides some new buyers as "hedge-fund dim bulbs" and gripes that "you can't collect in depth anymore unless you're a billionaire." But others are paying the price to stay in the game. Dealers figure that art world heavyweight Ronald Lauder recently anted up $135 million for a 1907 portrait by Gustav Klimt, probably the highest price ever paid for a painting, because he feared what would happen if the work went to auction. Everyone knows it can't last. Artprice.com, which tracks auction results, figures prices in the U.S. now stand 44% above their mid-1990 peak, just before the last crash. Worldwide, 454 works exceeded $1 million at auction in the first half of this year, up from 130 in the same period of 2003. Yet the buying continues, fueled by boom-time thinking. Rosen, for instance, says he isn't worried about having paid $2.7 million recently, nearly seven times the 1999 price, for a kitschy Koons sculpture of the comedian Buster Keaton. "If you own 12 other Koons, as I do, [paying a high price] makes you happy," he says. "You're just beefing up the value of your other pieces." That's why dealers pursue veterans like Rubell and Vail (Colo.)-based Kent Logan, an early buyer of Chinese contemporary art, trying to buy works in their collections. "The sums are astronomical," says Rubell. "Dealers offer us a good price, and when we say no they offer to double, triple, quadruple it. Maybe it's stubbornness, but we always refuse." Not all longtime collectors do. The Big Kahuna among the hedge fund guys is Stamford (Conn.)-based Steven Cohen, who art world insiders believe has spent at least $500 million in six years of collecting. He has bought a Jackson Pollock from Hollywood's David Geffen (for $52 million, according to The New York Times) and a Van Gogh and Gauguin from casino operator Steve Wynn (reportedly for more than $100 million). Lately, he has turned his attention to post-World War II works, says Sandy Heller, one of his main art advisers, partly because great Impressionist and modern pieces are scarce. Cohen is snatching up some of the best contemporary pieces. Last year he paid London ad mogul Charles Saatchi $12 million for a 1991 installation by Britain's Damien Hirst that consists of a 14-foot shark pickled in formaldehyde, believed to be the highest price ever paid for a work by a living artist. Trouble is, the shark has deteriorated, so Cohen is getting Hirst to refurbish the piece. Paying millions for a rotting shark may seem wacky, but the purchase played in the art world as a major victory for New York's Museum of Modern Art over London's Tate, the thinking being that Cohen will give the shark to MOMA. Heller calls the work "a masterpiece" and says MOMA is one of several institutions Cohen would consider if he decided to give it away. Pickled shark isn't particularly outrageous by today's standards. One of Rosen's more in-your-face treasures, displayed in the Lever House courtyard, is a 35-foot painted bronze sculpture by Hirst of a naked pregnant woman with half her skin flayed off and a fetus hanging from her womb. Rosen paid $2.5 million for it two years ago. Bizarre as some of the works seem, the collectors are making a wager almost as old as art: That the greatest works often seem strange in their own time and the challenge is to pick the ones that will last. "You get to play your personal vision against art history, and if something becomes more valuable, in a sense it vindicates your judgment," says Adam Lindemann, 45, a major collector and author of the new book, Collecting Contemporary (Taschen, $29.99). Truth be told, most of this art will end up in museums, many built by the collectors themselves. For instance, Russian banker Peter Aven, 51, who has assembled one of the world's best collections of late 19th and early 20th century Russian art, says he hopes one day to build a museum in Russia modeled on New York's Frick Collection, founded by steel baron Henry Clay Frick. In the meantime, everyone wonders how the newcomers will react when the market finally heads down. Some already appear to be taking profits. Hedge fund manager Adam Sender, 37 (sendercollection.com), is selling part of his collection this fall, including works by such top-dollar trendsetters as Prince, Kelley, and Germany's Andreas Gursky. Todd Levin, Sender's curator, says Sender is just rejiggering his holdings and intends to continue buying art "for decades to come." Still, most of today's big buyers have never seen a bear market -- only 39 collectors in ARTnews' current Top 200 were on the list in 1991 -- so Rubell has his doubts about their staying power. "We'll see what happens when things go into the crapper," he says. "The true collectors will be the ones who keep buying art." Modern works are zooming in value -- leading some to fear a shakeout. By Manjeet Kripalani - June 5th 2006. What has been the best investment in India in recent years? No, it's not an outsourcer such as Wipro (WIT), Tata, or Infosys (INFY). To get supercharged returns, you'd have done far better with a painting by Ram Kumar. A 6-foot-by-4-foot oil that sold for $32,000 in 2003 might fetch $500,000 today -- a 1,462% runup. There has long been a global market for Indian miniature paintings, sculptures, and other antiquities, but interest in the country's modern art has lagged. Now, a robust economy, a new moneyed class, and the energetic participation of young expat Indians are boosting sales of contemporary Indian art to new highs. In April a new gallery opened in Bombay every week, and sellout shows are the norm in big cities across India. Jerry Rao, chairman of software outsourcer MphasiS BFL Ltd., shows his collection in the company's offices worldwide. In the past two years, investors have started at least four ``art funds'' in which a curator buys and sells artworks instead of stocks. And since March, Bombay's Economic Times has even published an ``art index'' aggregating prices for works by 51 top artists. The excitement the new market is generating was palpable at the Saffronart Gallery in Bombay's old textile district on May 4. On display were India's contemporary masters: Krishna Howalji Ara and his nudes, Jogen Chowdhury's figures, the prolific and flamboyant Maqbool Fida Husain, Sayed Haider Raza's colorful geometrics, Francis Newton Souza's intense landscapes, Tyeb Mehta's mobile figures. The reserve prices for their works started anywhere from $100,000 to $700,000. On hand to sip wine and check out pieces that would later be auctioned over the Internet were artists, dealers, and veteran collectors -- plus more than a few art world newcomers. ``You can't avoid the art market these days if you're a sensible investor,'' said Mehul Patel, a 27-year-old Indian tech entrepreneur based in Singapore, as he swirled a glass of chardonnay. Today, Indians both at home and abroad believe investing in art can be as prestigious as a good address and as profitable as the stock market -- or more so. And why not? Prices for art have tripled across the board. At a Christie's auction in London last September, the hammer came down on Tyeb Mehta's Mahisasura -- an acrylic on canvas depicting an Indian goddess defeating a buffalo demon -- for $1.6 million. Since then, at least a half-dozen works by contemporary Indian masters have sold for $1 million-plus. ``Today, people aren't buying art out of conviction or pleasure, but because they see money in it,'' says Dadiba Pundole, a gallery owner whose father launched Husain and other top-tier artists in the 1960s and '70s. Although most buyers are Indians -- usually successful expatriate entrepreneurs or professionals -- there's growing interest among non-Indians. The two largest collections are both outside India: Japanese food processing tycoon Masanori Fukuoka's 1,000-plus works are housed in a three-story museum near Kobe, while 1,200 works collected by the late Massachusetts manufacturer Chester Herwitz reside in the Peabody Essex Museum in Salem, Mass. Christie's will hold five auctions of Indian contemporary art in 2006, up from three annually in recent years. New Delhi's Bodhi Art has a branch in Singapore and will open in New York in September -- adding to the city's six galleries already specializing in contemporary Indian work. And Indian expat buyers are becoming gallery owners: On Apr. 27, collector and tech entrepreneur Kent Charugundla opened TamarindArt in Manhattan with a sellout solo exhibit by abstract expressionist Bal Chhabda. Another fear is that artists may be sacrificing quality for quantity. Given the growing demand, some artists have become painting factories, says Ranjit Hoskote, a Bombay art critic and author. ``It's a trap, especially for young artists who are just churning out pictures,'' he says. And auctioneers are finding themselves embarrassed by fakes. In March, Sotheby's (BID), Christie's, and Bombay-based Osian all withdrew several works of questionable origin from their offerings. The deputy chairman of Christie's Asia says mainlanders are buying up works from their own country as well as the West. Frederik Balfour - February 6th 2006. More than 300,000 Chinese have a net worth of more than $1 million, excluding property, and by some estimates mainland millionaires control some $530 billion in assets. What do these folks spend their hard-earned yuan on? Mainland Chinese are the world's third-biggest buyers of luxury goods, so the likes of Gucci, Prada, and Cartier are selling billions of dollars worth of scarves, bags, watches, shoes and more to them annually. And Bentley Beijing has sold a half-dozen 728 stretch limos -- at $1.2 million each, the world's most expensive car -- more than any other dealership in the world. How important is the Chinese market to Christie's? It's very important. There is tremendous potential there, because when people have extra disposable income they will start thinking about buying art. From recent years the percentage of Hong Kong sales from mainland China has gone from zero to 20%. That's a huge increase. What are mainland collectors buying? First off, they will buy porcelain and Chinese scrolls and modern paintings from the late 19th and early 20th centuries. These are in the style of traditional Chinese classical painting, using brush strokes and ink and paper. Artists include Lin Feng Mian, Li Keran, Zhang Daqian, and Wu Guan Zhong. Some local collectors will pay a huge price for those artists. I know that a Wu Guan Zhong recently sold in the mainland for about $4 million. Many local auction houses in mainland China are also doing very well. Are mainlanders buying contemporary Chinese art? Not that I'm aware of, though this isn't an area of my expertise. Contemporary Chinese art is bought primarily by Southeast Asians, Taiwanese, people from Hong Kong, as well as European and U.S. collectors. Eventually they will start buying Western art. There will be a very substantial increase. That's one of the main reasons I relocated to Hong Kong from New York last year. Christie's knows there is a lot of potential in mainland China, so one of my main jobs is to develop the Western painting market there. We have done two previews of impressionist paintings in Shanghai, in advance of auctions in New York and London. In the past two years mainlanders have bid on Renoirs, Monets, and Van Goghs in New York and London auctions, though they only got the Monets. There is also a middle-aged Shanghai businessman I know of who paid $1 million for a Picasso in a private sale. I can't give more details. Does Christies try to educate Chinese collectors? We have been bringing the highlights of our Hong Kong auction sales of Chinese porcelain, jewelry, and watches, as well as traditional classical, modern, and contemporary art to Shanghai and Beijing. Our specialists give lectures to small groups of collectors, usually sponsored by investment banks. Personally, I did a few talks in Shanghai and Hangzhou on how to collect to Western painting. We usually work closely with private bankers and investment bankers and invite 40 to 50 people. For example, we worked with HSBC in Shanghai in 2004. The reaction in Hangzhou was very positive about Western art. They are keen to learn and did their own homework. 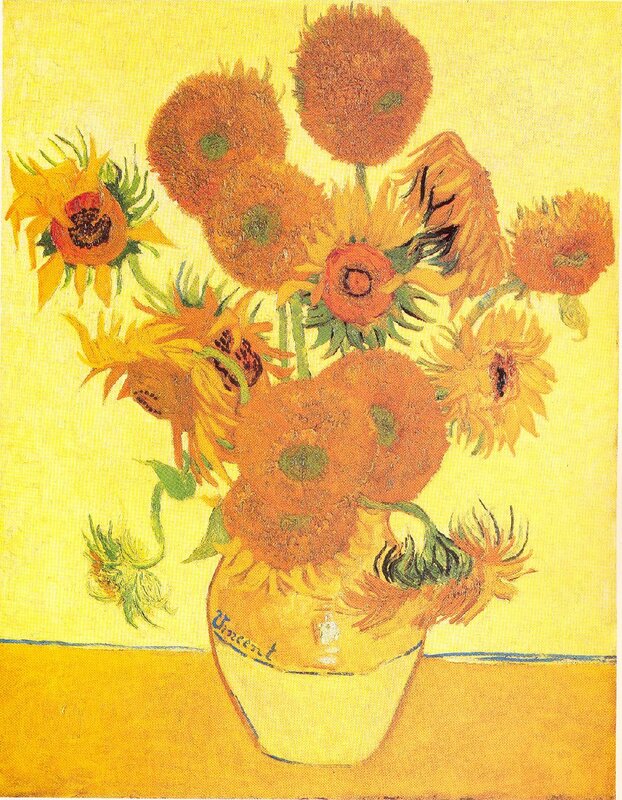 So a Chinese buyer might someday purchase Van Gogh's Sunflowers? Charles Moffat - Violinist #2 - 2003. Charles Moffat - U.S. Censorship - 2001. Charles Moffat - Above the City - 2000. Charles Moffat - Marilith - 2000. Charles Moffat - Italy & Germany - 2002. Canadian artist Charles Moffat sells his paintings only to art galleries and collectors. His works appear in books, documentaries and movies. His work has been shown internationally in North America, Europe & Asia. Swiss businessman Uli Sigg talks about his collection and why he's not selling. By Frederik Balfour - June 1st 2006. With more than 1,400 works from 200 different Chinese contemporary artists, Swiss businessman Uli Sigg has amassed the world's most comprehensive collection of Chinese contemporary art. Sigg lived in China in the 1980s while working for Schindler Lifts, a manufacturer of escalators and elevators. Yet it wasn't until he returned to China as Swiss ambassador in 1995 that he began collecting. He spoke to Correspondent Frederik Balfour on the sidelines of the Christie's Art Auction in Hong Kong about the genesis of his collection, motivations of contemporary artists, and the recent skyrocketing prices of Chinese art (see BW Online, 5/25/06, "China: Cultural Evolution").What follows are edited excerpts. Why did you start collecting Chinese art? In the first place, I looked at Chinese art according to my personal tastes, but I didn't find much in the early 1980s. But in the 1990s I realized nobody was systematically collecting Chinese contemporary art, either in China or outside -- not institutions, not individuals. So I decided to create a documentation to mirror Chinese art production. What role do your personal tastes play here? My personal tastes are not so important, rather, I try to have a reasonable collection mirroring what Chinese artists are concerned with. Some say something about China or China's art creation, but aren't necessarily my favorites, still they belong. I have more of a museum approach than a private-collector approach. But you do make the works available to the public? Yes, I feel it's an obligation as a collector. The Mahjong exhibition [the first time his works were shown publicly] last year in Bern showed about 320 works in two venues, and Mahjong will be shown in Hamburg in September. Do you plan eventually to establish a permanent collection in a museum? For now, mine is a self-imposed mission, and at this point I'm responsible to myself, though it's my intention to show it to the public, ideally to the Chinese public. But conditions there aren't mature enough yet, and a certain number of my works could not be shown. My main reason to collect was I thought here is the biggest cultural space in the world, yet there is a gap of about 20 years. Normally a museum or institution would document this period, but official China has ignored contemporary art, but for a few exceptions with a small section of academic paintings associated with the official artist associations. But it does not cover media, photography, installations, or performance art. Do you think commercial success has made Chinese contemporary painters complacent? For some artists the temptation to copy themselves is just too big because the rewards are so spectacular. But others continue their research and continuously develop. But these temptations to artists are comparable to Western art situations. They are not unique to China but they are new to China. Which artists are caught in the same mold, and which ones are breaking new ground? I do not mention names. I collect 200 artists, if I mention one or two I tend to get into problems. They are my friends. I don't want to get into that kind of discussion. There are many artists which fall into one pattern, and many who fall into the other. Why did you establish the Chinese Contemporary Art Awards [CCAA]? My reasons were twofold: to encourage Chinese contemporary artists and to expose Chinese art works to important international curators like Harald Szeeman, Alanna Heiss, Hou Hanru (who have sat as jurors for the competition established in 1998 and held every two years) and Roger Buergel. What do you think of the prices here at the Christie's auction? They are out of control for some works. Of course there is an explosion, but I don't think it's that different from the global mainstream art in terms of pricing. Comparatively speaking only a few Chinese are buying, they buy the very famous artists, creating a demand beyond what the artist can produce. If you could only keep one work what would it be? A big installation of 132 Neolithic vases by Ai Weiwei. A fourth of them are covered with industrial white paint, even though they are 5,000 years old. What advice do you have for collectors of Chinese art? Look at a lot of works, good and bad, look at catalogues and books. And look at international art so as to have more of a judgment which allows you to position Chinese art in a broad context. This is what people don't do, so they might overestimate an artist's accomplishment which they wouldn't do if they were familiar with world art. How do you keep up with new art? I visit China six to eight times a year, though not exclusively to buy art. I am the vice-chairman of a media group [Ringier of Switzerland], on the advisory board of China Development Bank, and am involved in other projects, such as bringing a group of Swiss architects to China to design the Olympic national stadium. I visit many cities. Wherever I go I try to see new artists and visit old ones. Also the CCAA allows me to see new works. Do you buy at auctions? From time to time, but I'm not a regular buyer, except in some special situations. The most recent purchase I made was of a Cultural Revolution period painting at an auction in China depicting Mao visiting Guangdong province in 1972. No, I keep the collection intact. I'm not a seller, though I've been approached by auction houses. How much is your 1,400 piece collection worth? I don't know how much its worth, since I'm not a seller. But surely you must have some idea for insurance purposes. Yes, I would have to adapt my insurance values sometimes [to reflect] latest auction prices that are relevant. But honestly I don't know and can't figure it out.